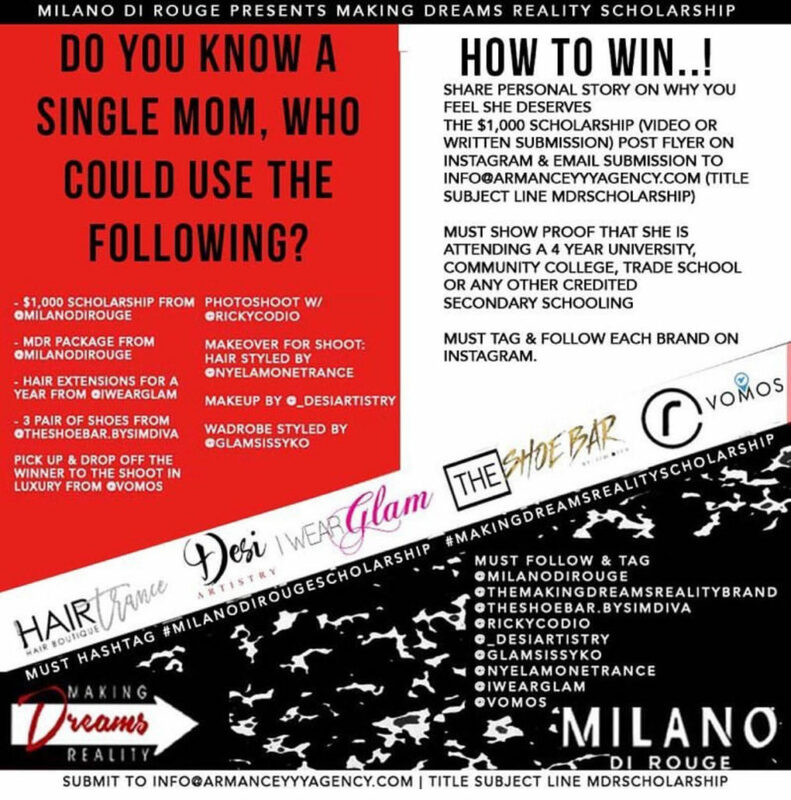 The Milano Di Rouge presents Making Dreams Reality scholarship for single mothers. This monetary gift and listed services will be awarded to one individual listed in the poll. Each of the ladies have shared with us their personal stories on why they believe they are deserving of the scholarship. 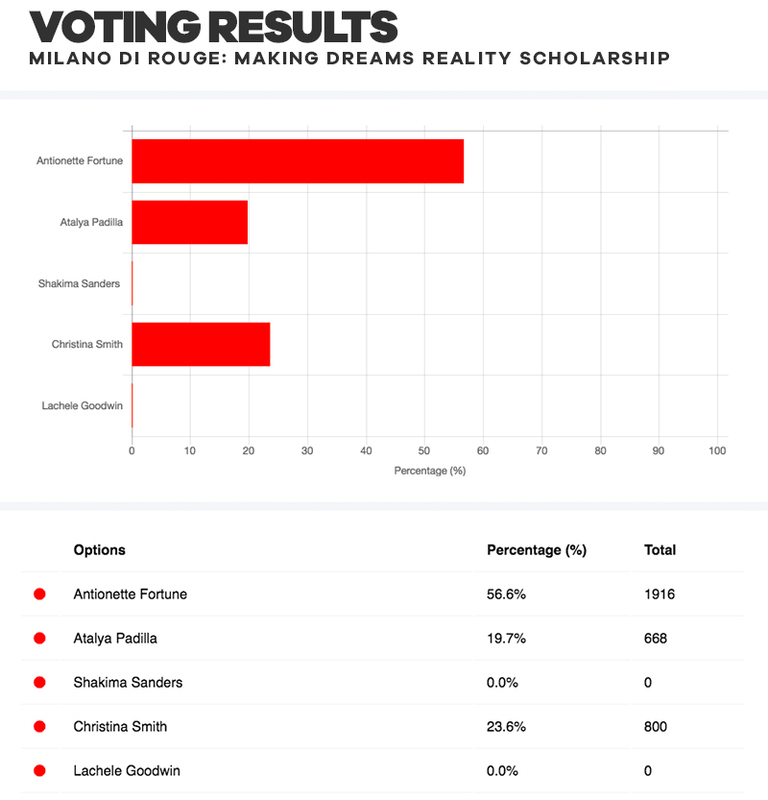 Now we are asking the community to help us decide who the scholarship should be awarded to.